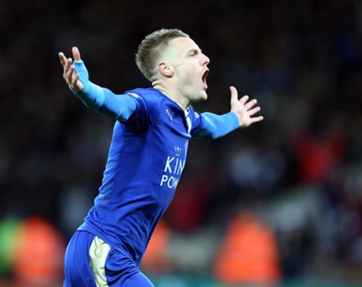 The Foxes don't need to prove themselves anymore, that much should be clear. This Jamie Vardy goal vs Liverpool (GIF VIDEO BELOW) was the first of two goals scored by the Leicester striker in the Foxes’ fixture against the Reds on 2 February, 2016. Absolute stunning volley from Vardy, currently topping the league goal charts, and well worth a watch. Great work from Mahrez in the buildup and Leicester manager Ranieri described as “Amazing. fantastic, fantastic”.Claudio Ranieri's men maintained their three-point lead at the top of the Premier League table.Leicester made no alterations to their team, while there were eight Liverpool changes from the side that played West Ham in the FA Cup, with captain Jordan Henderson fit to start.